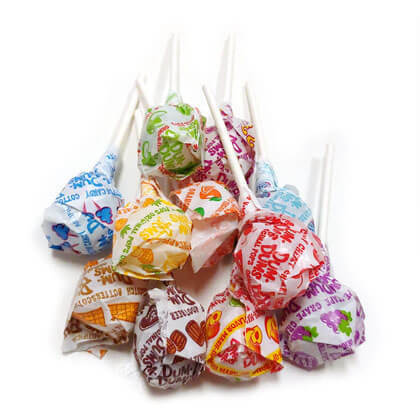 Dum Dum lollipops. Sixteen assorted flavors include blue raspberry, blueberry, bubble gum, butterscotch, caramel, cherry, cotton candy, cream soda, fruit punch, grape, mango, orange, sour apple, strawberry, watermelon and mystery flavor. Only 20 calories per pop! Gluten-free. 30 ct bag.